In keeping with my Black History Month theme, and my own reflections about when I first began to understand the significance of race and race relations in America, I decided to compare my thoughts and realizations with those of some of my white friends. No discussion on race and race relations can be complete if it is one-sided, and I think that many people understand that most feelings about race and relations are taught and/or learned, whether directly or indirectly. Of course, I also understand that there are many more races than just Black and white, but I think that for much of American history that struggle has been a predominant one. Also, for right now, mainly for simplicity purposes, I didn’t interview all of my friends of other races. I was curious about whether and how white families talk to their children about race relations and racism, and thankfully, a few of my friends were brave, gracious, and open enough to share their thoughts and recollections with me. Another incident took place in high school when a group of students in the International Baccalaureate (IB) program that she was in (which was only about 10% African American) decided to dress up “in baggy jeans, white t-shirts, gold chains, and other “ghetto outfits” to mimic the students on the “traditional” academic track after the traditional students dressed up like “nerds.” She said that while she “knew that this episode highlighted some of the tensions at the school between different groups of students,” she “did not give it much critical thought” at the time. She says that it was not until she got to college that she “learned that [she] could listen to and participate in conversations about race. She says that that “small step has helped [her] learn more and confront [her] own misconceptions more, because [she] can have honest conversations with people and push [herself] to look critically at [her] own ways of thinking. Another friend of mine said that if there was a distinct moment when he realized that he was white, he was “too young to remember.” His parents were Italian immigrants who came to the United States in the 1980s and “continue[d] to identify as Italians as opposed to Americans or whites.” He also grew up in an Italian immigrant community and spoke Italian at home. He admits that both of his parents “didn’t like Black folks” when he was growing up. He remembers his mother telling him not to date Black girls when he was in elementary school and not having a reason when he inquired about why. He said his father had also been robbed at gunpoint by a Black person shortly after he arrived in the United States. As a result, his father tended to avoid Black people. 1. The importance of media, education, and communication. If you’ve ever read this blog, you know that I love to rattle on and on about media and the critical messages that we consume and that others send. I think that it is much more than an interesting coincidence that my friend and I both became aware of the significance of race at around the same age by reading books. Fortunately, we were becoming aware of our differences in a somewhat more “intellectual” medium where it was presented in an already edited and filtered way that was designed to be broken down further and discussed, but I cannot help but to think about the children who are formulating ideas about race and race relations through television, music, and other forms of media that are not being monitored or discussed. I also found it interesting that, at least based on what they told me, neither one of my friends’ parents really delved into reasons or explanations for warnings and/or opinions about race or race relations. For example, while my friend described her mom’s attempt to prepare her for the upcoming appearance of the “n” word in Huckleberry Finn and told her that she could “get in trouble” if she used it, she did not explain why the word was problematic or the history of the word. Granted, she might have done so at a later time, but I am always curious about the way in which white children are taught about history and race relations. As I mentioned in my previous post, images and stories about Black leaders and history were prominent in my household growing up. Before I even understood the negative connotations of Blackness, I knew the positive ones. It was almost as if my parents were building me up before society could attempt to tear me down in any way. They were compensating for the gaps that they knew would be missing from my schooling, but which they knew would be crucial to my complete life education. 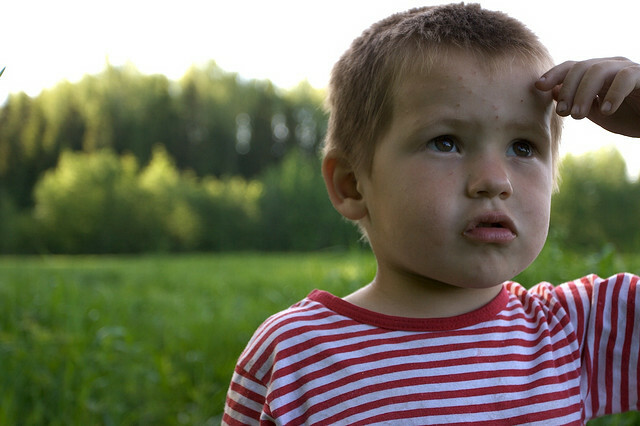 When it comes to white children, we know that Martin Luther King gets a lot of attention in schools, but who and what else does? And what role does that play in shaping how white people grow up understanding racial tensions and race relations? 2. The importance of engagement and not just exposure. Just as my friend quickly learned that it was not enough to just be in a diverse school and do her part to be exposed to people of other races, people of other races cannot just exist in one another’s midst without truly engaging with one another. We can’t learn from one another that way. Impoliteness is not acceptable, but fear and political correctness helps no one. As my friend noted, we have to call one another out when we see and hear things that are wrong. As a Black person who has attended schools where I have been both the majority and the minority, I know that it not enough to just be present, we have to interact. That is the only way we come to truly understand one another and to challenge stereotypes. 3. My own generally monolithic views of whiteness. While I am very aware of the vastness of and the differences among the Black Diaspora, I tend to think of white people as one cultural entity. I was surprised to realize that when my friend explained that his parents were Italian immigrants. I never think of “whiteness,” whatever that is, as being composed of different nationalities and cultures. After growing up and also largely associating different races with wealth disparities, I am just now truly wrapping my head around the concept that not all white people are wealthy. Now, I have another realization to confront. 4. The pros and cons of inflating the connection between economics and race relations. Truthfully, I think many people are simply more comfortable addressing issues of injustice along class and economic lines than along racial and/or cultural ones. I think it sounds better to say that we need to help the poor than it does to say that we need to be tolerant of one another’s differences. I absolutely agree that there is a major connection between social relations and economics and class, but I also know that even wealthy Black people still suffer from many of the societal challenges that come with Blackness. In response to a question about what he wishes other less progressive people would realize, one of my friends said that “we’re really not that different at all.” In theory, I understand that. We are all human. We are all more alike than we are different. Yet, I would really like for society to get to a point where it embraces the fact that we are all different and that that’s what makes us beautiful. Culture is important. Culture is necessary. It can be prevalent without being threatening or divisive. *Author’s Note*: I despise the term “gentrification” because I have issues with its etymological root. Who are “the gentry” and does that make original residents peasants? I have similar issues, although not for the same reason or with the same level of intensity, with the term “urban renewal.” However, for the purposes of this post (and to make my life easier) I will use both terms, and usually interchangeably. As a writer and performer, I have always loved the theater and (when time and funds allow me) I try to keep up with what’s going on there. So when Bruce Norris’ Clybourne Park won Best Play at this year’s Tony Awards–after winning the Pulitzer last year–I felt a little behind (on my literature and my theater) and had to get to googling because I had never heard of it. From my preliminary research, I was able to gather that it was being pegged as a modern-day response to Lorraine Hansberry’s A Raisin in the Sun (one of my favorite plays, EVER–the book, the Sidney Poitier version of the movie, and Diddy on Broadway) that dealt with racism and gentrification. So, when discount tickets for Clybourne Park became available on Goldstar–if you don’t know about Goldstar, you have just been put on and you’re welcome–I had to go see it. So I did. Last night. And my my my, did those summaries sell it short! Frankly, it was quite possibly one of the best shows I’ve ever seen,–and I’m not just talking Broadway–and not simply because of good acting (although the actors were great), but because the play was thought-provoking, incredibly bold, and honest. Without giving too much of it away, the play is set in the mythical Clybourne Park section of Chicago, first in the 1950s and then in the present-day. (Grappling with two time periods. Don’t you love it already?) If you’ve ever read or seen Hansberry’s A Raisin in the Sun, you might remember Karl Lindner, a white member of the neighborhood association where the Younger Family is set to move after they receive Walter Sr.’s long-awaited insurance check, who pays the family a visit in the hopes of dissuading them from moving into his neighborhood. When the play makes its way into the present-day, the same house and neighborhood where the white family had once lived and into which the Youngers would ultimately move, has over the years become become run-down; the neighborhood is also now economically deprived and predominantly black, due to the eventual “white flight” that occurred after the arrival of the Youngers. Thus, Lindner’s worst fears when he tried to stop the sale of the house have been realized. However, the house has now been sold to a young white couple who represent the wave of “urban renewal” that the neighborhood is undergoing. As the young white couple responds to the concerns of the now-African American neighborhood association representatives vying to maintain the historical significance of their community in the face of the impending social, political, and economic changes it is experiencing, in the process known in many communities of color as gentrification, the play demonstrates great irony while weaving together both the mindset and dialogue of the two time periods. In doing so, it highlights the cyclical nature of history in the context of ongoing cultural and racial tension. In this insightful review of the play that appeared in New York Magazine ( It’s great; go read it after you finish reading this) and is now being distributed as a supplement to the show’s Playbill, Frank Rich argues that through its blatant attacks on racism masked as political correctness, the play illustrates the myth of a post-racial society in the age of Obama. I would agree that it definitely does that. One character even mentions the election of President Obama when the racially charged yet initially delicately navigated discussion about the “‘value” of the neighborhood gets heated. However, to me, the genius of Clybourne Park is that it tackles the cultural and racial hostility and discord in this country head on. It says what so many of us are thinking but would almost NEVER say in “mixed company.” It goes from having an Emily of Gilmore Girls feigned politeness and decorum to having an Archie Bunker meets Spike Lee’s Do The Right Thing level of candidness to it . The reason the joke exchange in the play is so horrendous yet hilarious is because it speaks to all of the resentment, frustrations, prejudice, and stereotypes that people of all races seldom discuss and are often not allowed to let boil over except in the instance of some political scandal. As is the case with many comedy routines, it is the raw and relatable, yet embarrassing truth of the sentiment relayed that most of us are laughing at, not actual humor. Like the audience in the theater last night (myself included) laughing at purposefully racist jokes, we laugh at the awkward inappropriateness of it all. It’s the “oh-my-God-did-he-just-say-that-out loud-I-do/say/think-that-all-the-time factor.” It’s the comedic courage in the face of our general polite cowardice that gets the laugh. Imagine if black Harlem sat down with Columbia University real estate developers (and students and graduates who move in, for that matter) and told them how they really feel? (Honestly, I’m sure at least some of them have at some point, but anyway…) Being a native New Yorker, I can honestly say that I’ll never forget a friend of mine who was born and raised in Harlem who called me in tears as she talked about her apartment building being renamed and things changing before her very eyes. A lot of my fellow Brooklynites will tell you in a heartbeat that they don’t know anything about Prospect Heights, but they used to know Bedstuy and Crown Heights. 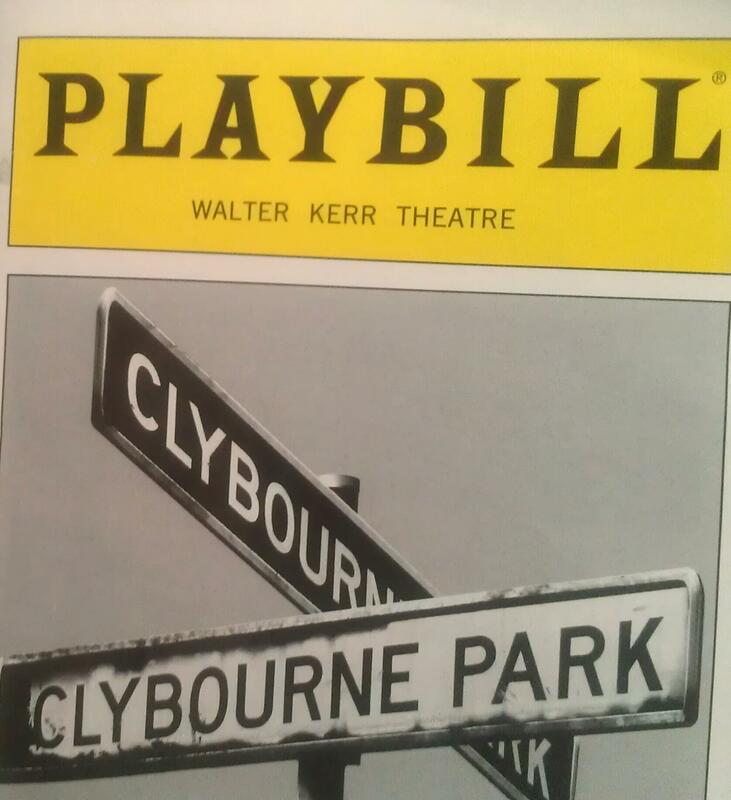 That deeply rooted and superficially handled tension is Clybourne Park. After watching the play, I realized that we are really all just looking for our place in this society (particularly those who have been historically, politically, and socially disadvantaged and are still grappling for true power and influence–and I’m not just talking about people of color–but I digress…) No one wants to feel like his or her space or home or way of life is threatened or challenged and that, I believe, is the root from which all of these tensions arise. As much as we like to say that there are not multiple Americas, there are. We are different. We have different customs and cultures and that’s what makes us great. Unfortunately, we are often so busy trying not to step on one another’s toes (even as most groups get completely stepped on in some way in the process) that we forget to learn how to truly co-exist–no euphemisms, assimilation, or prejudice necessary. Needless to say, I still don’t agree with poor people of color being pushed out of their neighborhoods, but I acknowledge the need to facilitate meaningful and productive discussions that lead to true progress. In my Aquarius idealism, I often express what I believe to be the benefits of an embrace of open-mindedness and true multiculturalism. So as Bev from Clybourne Park reminds us, rather than protesting against them, maybe we should all get to know one another’s different “dishes,” because as long as we continue to act as though our differences are automatically threatening, negative, and divisive and/or to attempt to minimize, nullify, or deny their existence in the so-called name of unity, we will get nowhere.